FERNDALE, Mich. — A Michigan school district has corrected a teachers union contract that gives ‘special consideration’ to non-Christians. Officials with the Ferndale School District state that they were unaware that language in the teachers union contract suggested discrimination against Christian applicants. The Mackinac Center for Public Policy had recently discovered the language in reviewing contracts throughout the state. It then contacted the school district to express concern. 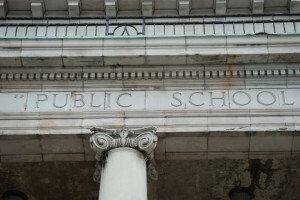 “Ferndale Public Schools takes the issue of discrimination seriously and has acted swiftly to resolve this unfortunate contract language issue,” she said. The district asserts that it does not discriminate against Christians, and states that it is unsure how the language at issue had been overlooked for so long. The latest teachers union contract had been for 2011-2012, but was extended to 2017. EAG News notes that Michigan’s Elliott-Larsen Civil Rights Act prohibits discrimination in employment on the basis of religion.